We inspect for evidence of wood-destroying insects that can damage your home. What is commonly called a termite inspection is actually a “Wood destroying insect inspection”. Termites, Carpenter ants, Carpenter bees, Powder post beetles and Old wood borer infestations can do substantial damage to a structure. The fact is, we build houses out of dead plants. The lumber in your home can be a food source or can be damaged as a nesting location. This damage may be extensive and expensive to repair. The annual cost of treatment and repair of termites in the U.S. is estimated at 5 billion dollars. Sherlock Homes Property Inspections will conduct this inspection with a completely unbiased opinion with your best interests in mind. 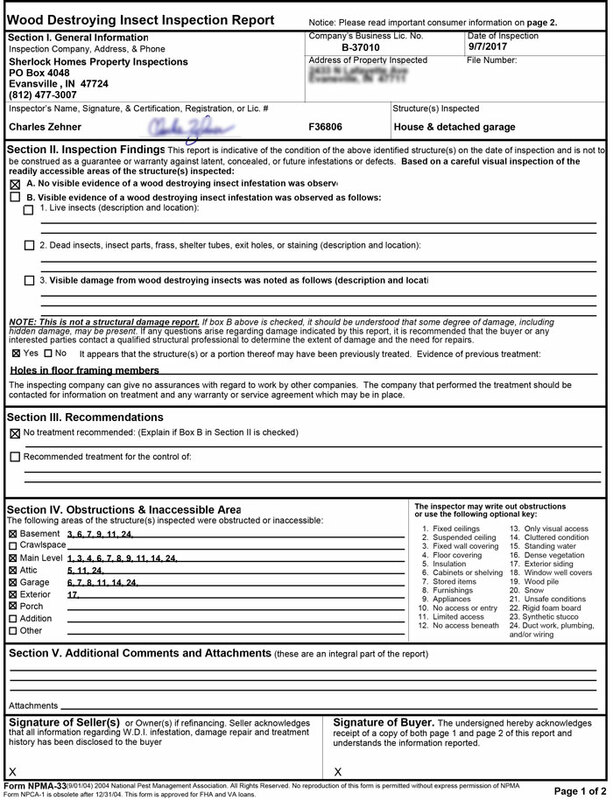 After carefully inspecting your new home for all common wood destroying insects, we’ll report any evidence of an infestation and / or previous treatments on the NPMA-33 Form from the National Pest Management Association. 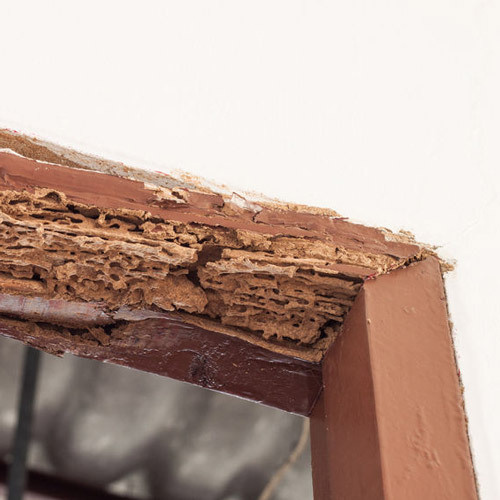 We will probe accessible structural members for termite damage, look for termite shelter tubes, termite parts like swarmer wings and for live termites. We will also look for evidence of a previous termite treatment and make a recommendation of whether a treatment is required. Carpenter ants will nest in structural members and cause expensive damage. We will probe and inspect for these insects in all accessible areas of the home. These bees are large and are often mistaken for bumble bees. The wood boring bees are commonly found on exterior lumber like wood siding, fascia, soffits and trim. They are also common on pergolas, gazebos and decks. Although these bees don’t often cause substantial damage to the home’s structure, they often damage the integrity of the decks. Also called Powder post beetles and old wood borers – These beetles are not common in newer construction but are in older structures. These tiny insects can turn a piece of lumber into powder if given enough time, causing major structural damage. Termite Inspections are Perfect for SELLERS Too! Although termite inspections are normally done for buyers, it is a great idea to do this same inspection before a seller lists their home. A seller can address deficiencies in their home by repairing them or by disclosing them to a potential buyer. It is not a good day to find out you have $5000, $10,000 or $20,000 in potential repairs after you’ve already agreed to a sale price. So, why do you want us to conduct this inspection? Because we do not perform insect treatments on homes we inspect – we are able to give an unbiased opinion. 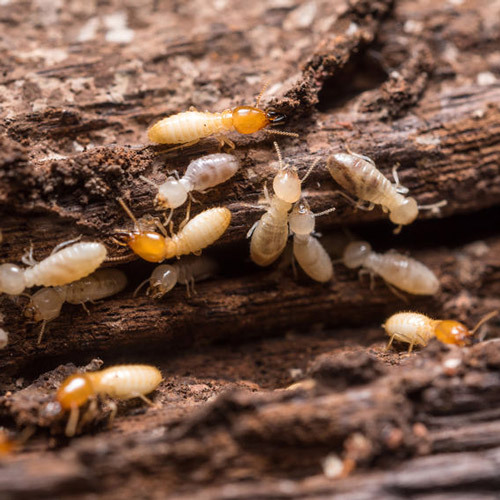 Schedule your Termite Inspection Appointment Today!